Why does your wordpress need web maintenance? With the professional maintenance service WordPress we will help you so you do not have to worry about anything technical. 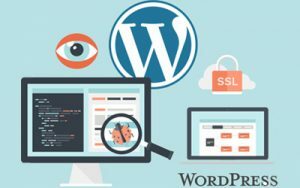 WordPress is very easy to use but we can not leave out its set-up. We take care of monitoring your website so that it is always correct and up-to-date, in this way we can act at the moment of any failure that could throw all your work to the ground. We take care of your backup copies and we will ensure that you are always at 100%, taking a professional maintenance is essential. Thanks to the web support and maintenance plans, you will be able to choose different options, such as letting me optimize your page, loading speed is very important. Or if you need to make changes on the web or update your blog, you will not waste time on it because I will do it for you. You can even have included my advice for any online topic. Join All The Satisfied Enblanco Users!